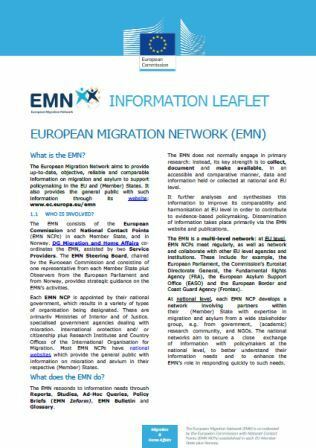 The EMN NCP in Portugal is the Aliens and Border Control Service (Serviço de Estrangeiros e Fronteiras – SEF), a central government authority, belonging to the Internal Affairs Ministry. SEF is the national authority for the entry, permanence, exit and removal of foreigners as well for the technical assistance and implementation of the national policies on immigration and asylum. SEF has a mission to study and promote measures and actions related to national policies on immigration, asylum and borders and is the entity responsible for national statistics on immigration and asylum.